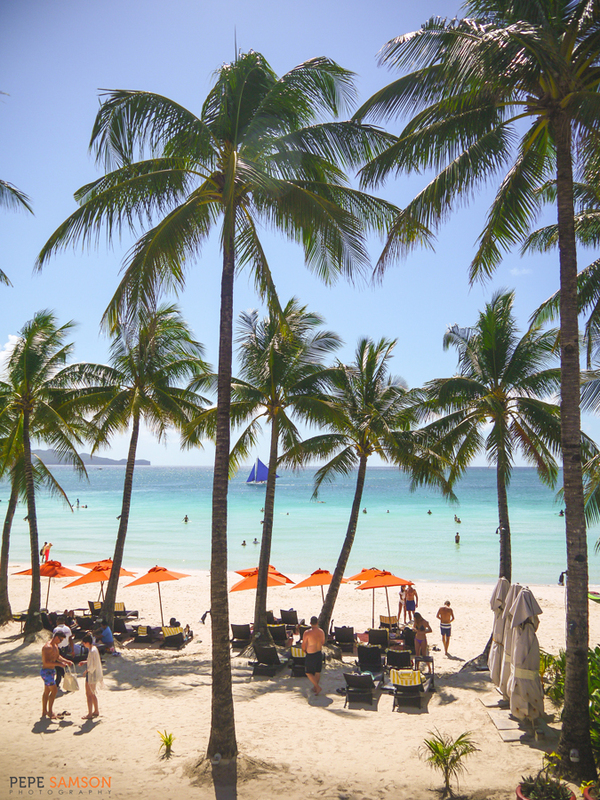 Dear drunkards late risers, I’ll tell you a secret: Boracay has something for your hungry, booze-ridden tummies. 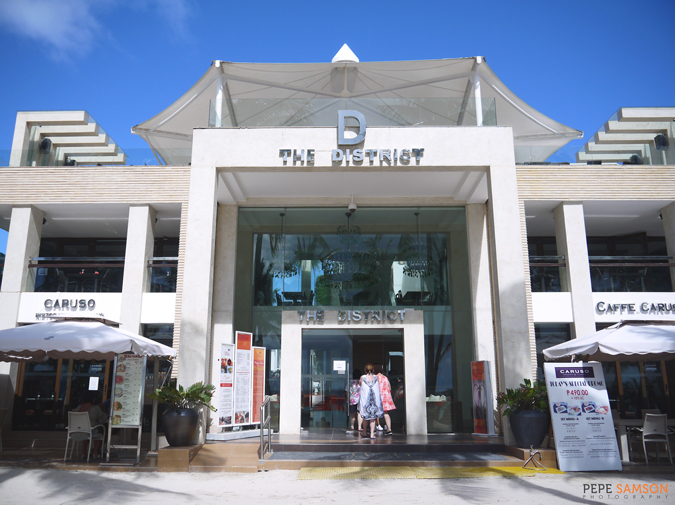 Star Lounge at The District Boracay serves an amazing brunch spread that seems to have been designed specifically for nightlife-loving animals like us. 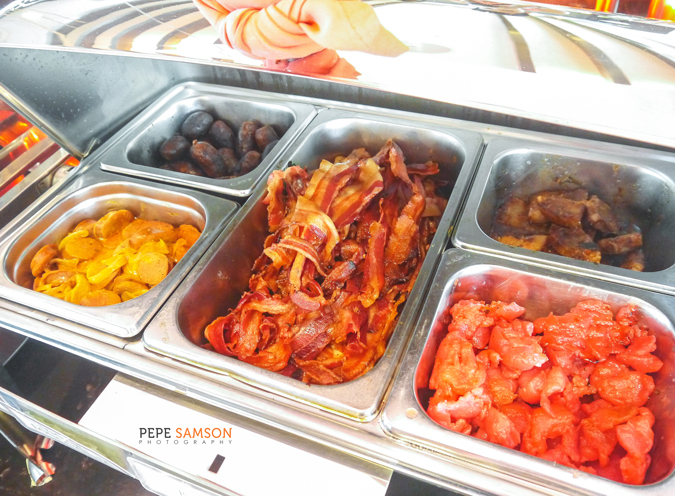 Available daily from 10:30AM to 1:00PM, this buffet offering is perfect for all of us partygoers who couldn’t get up early enough in time for the free hotel breakfast. But make no mistake: if you think this is the usual jumble of carbs and processed meats meant to simply fill you up and fuel you for a day of more sightseeing, you’re dead wrong. 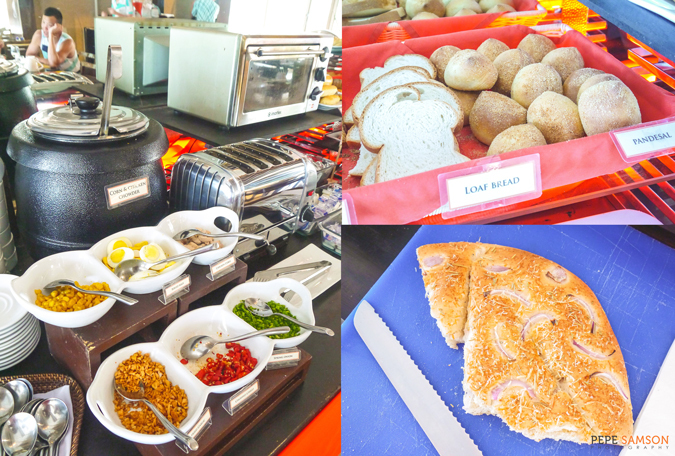 Star Lounge has one of the most well-curated selections of morning staples in the island. 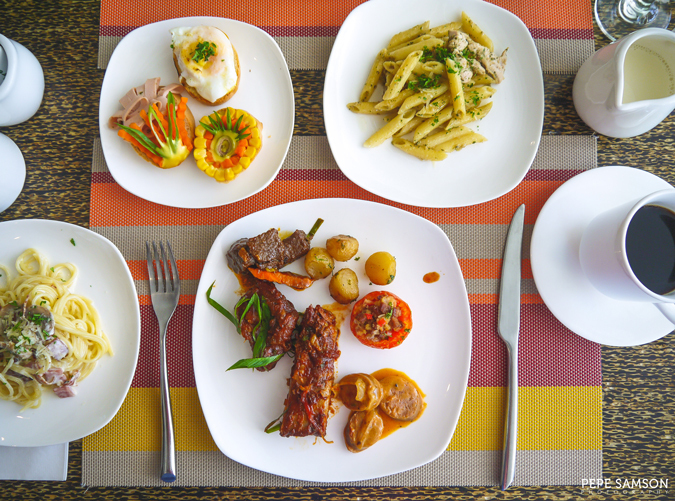 For only PhP600 net, diners can partake of a fine selection of Filipino and international dishes. 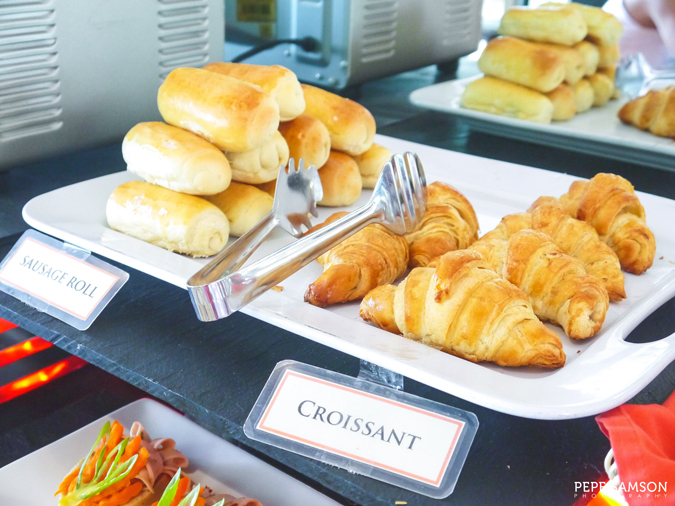 There’s a soup-of-the-day and a bread station stocked with loaves, pan de sal, rolls, and croissants, as well as a variety of beautiful, open-faced sandwiches. 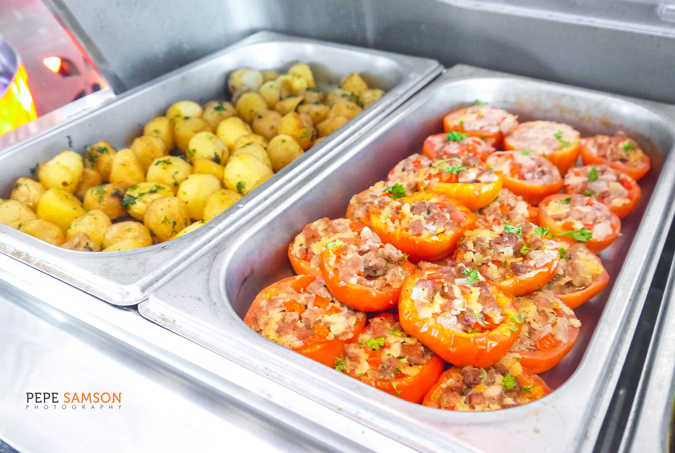 The appetizer station sits nearby—I loved the marble potatoes and the stuffed tomatoes. 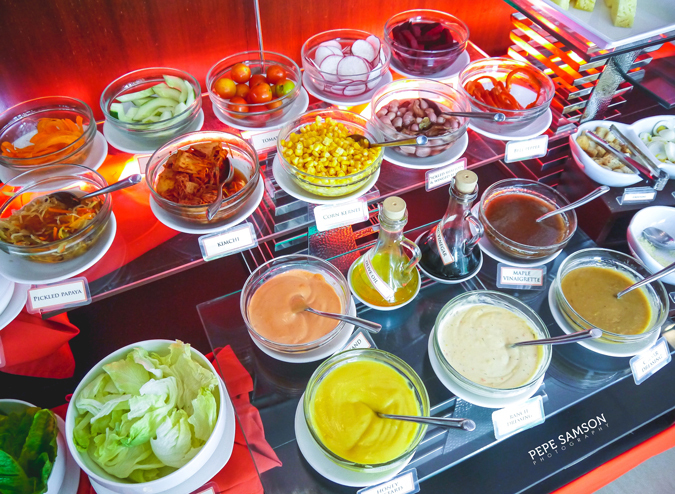 Those craving for something light and healthy will find delight in the salad station, which is laden with a smorgasbord of vegetables, condiments, and sauces. 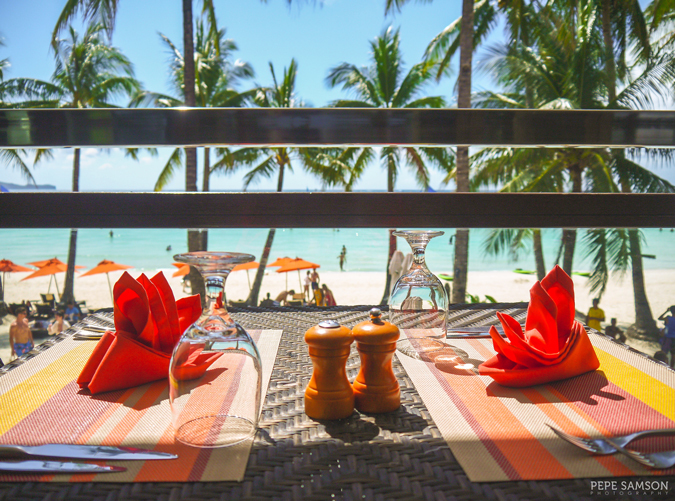 Fresh fruits on the adjoining section lure diners with their vibrant colors. 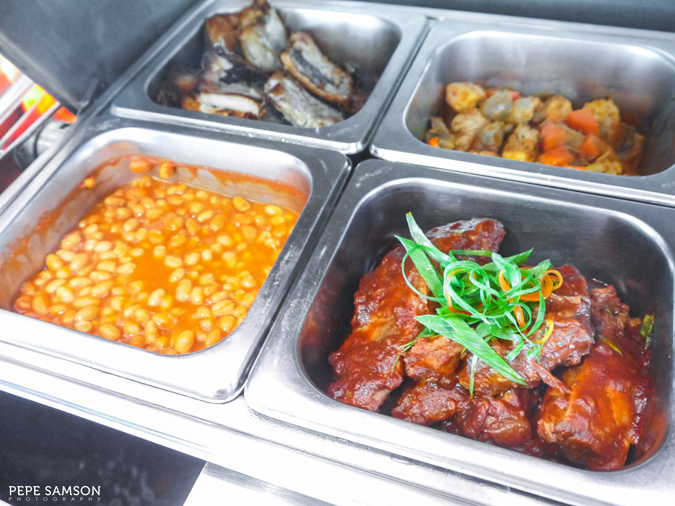 The hot dishes section features delectable international and Filipino viands such ribs, Korean beef stew, curried sausages, longganisa, tocino, bangus, beans, and of course, bacon. 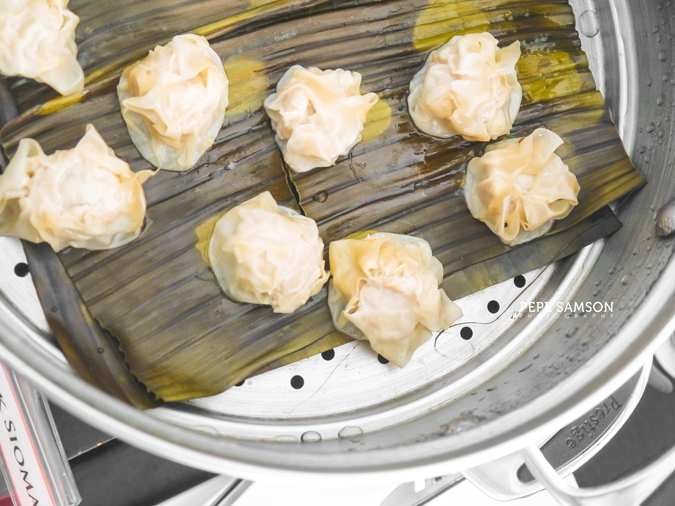 The rice tray is refilled alternately with plain rice, garlic rice, or other variants, such as a Singaporean fried rice. 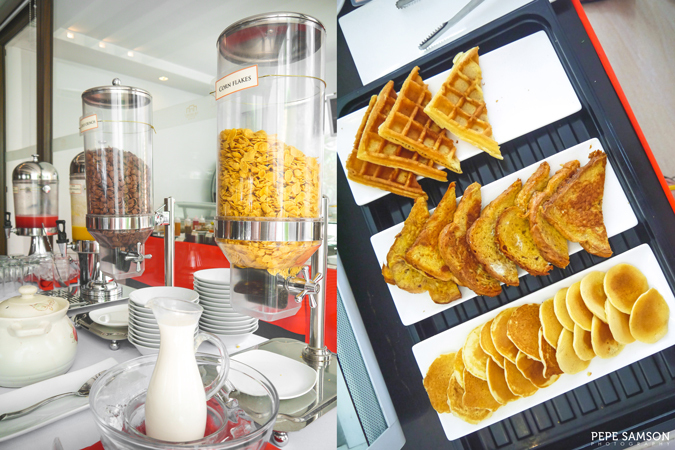 In a separate area is the live cooking station, and here, American favorites like pancakes, waffles, and French toast are also available. 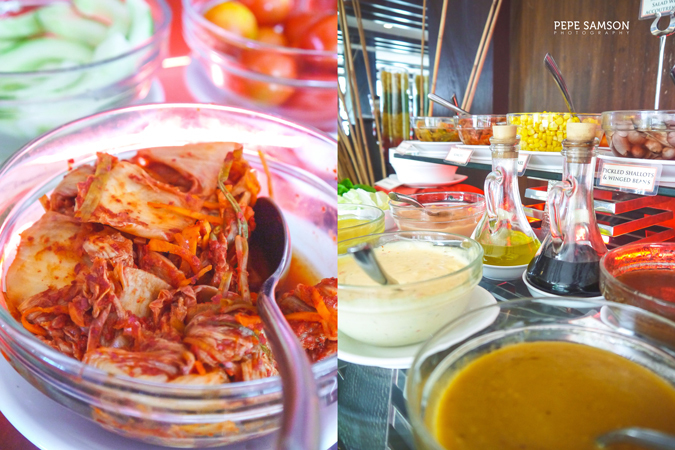 There are dumplings complete with sauces and condiments, as well as omelets cooked upon request. 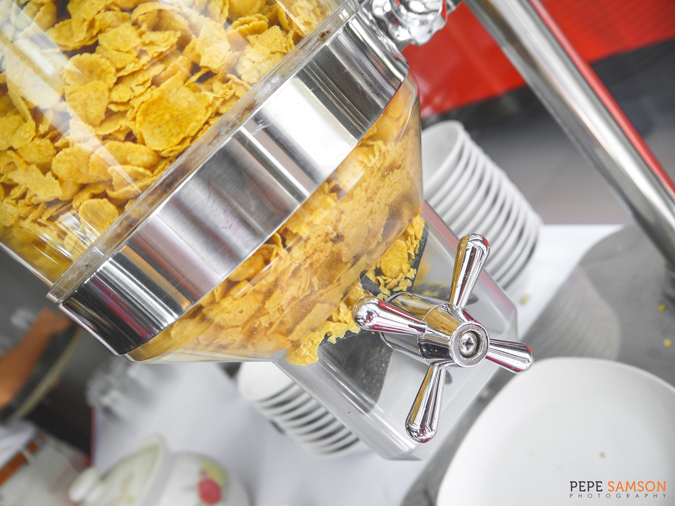 For something lighter, there’s an assortment of cereals to choose from. 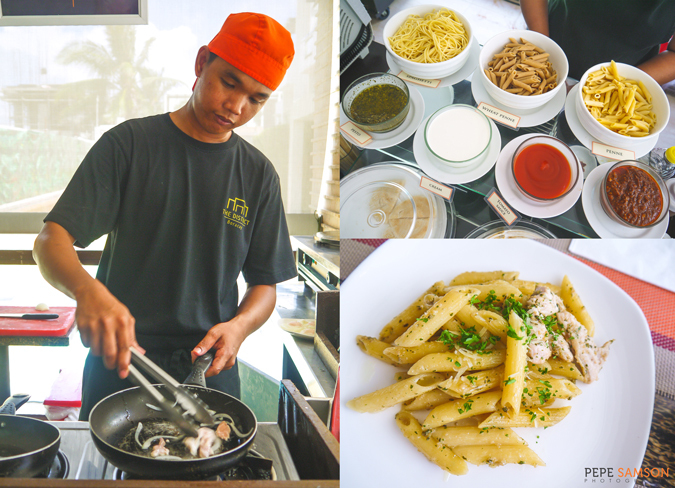 Make your own pasta from Star Lounge’s selection of noodles and sauces—and choose which toppings you prefer as well. 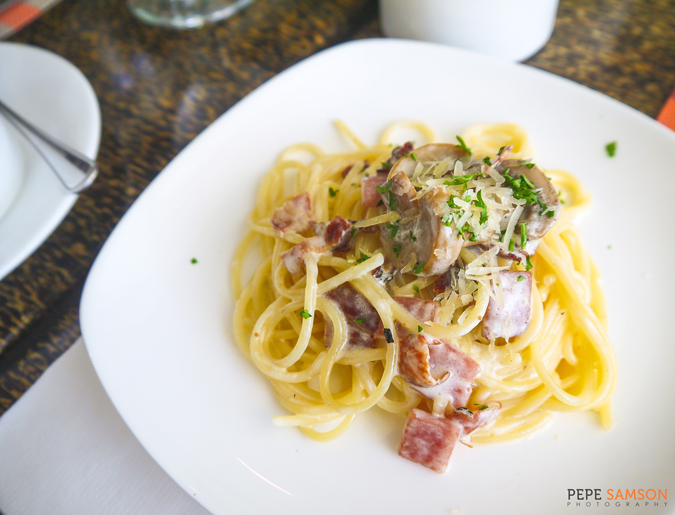 Take for example my penne pesto loaded with grilled chicken, and this spaghetti carbonara laden with ham, bacon and mushrooms. For dessert, I loved my banana-mango-raspberry crepe; the batter itself was thin, light and delicate, and the fillings fresh, tart, and sweet. 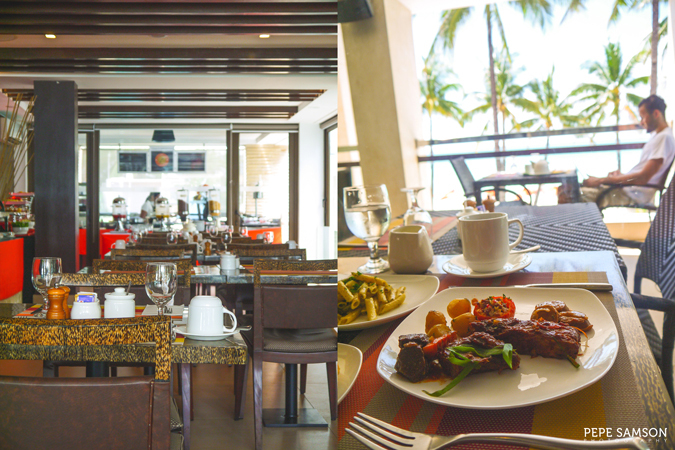 I loved the al fresco area which allows you to get a whiff of the fresh sea breeze and bask under the warm morning sun while enjoying your brunch and admiring the stunning view. 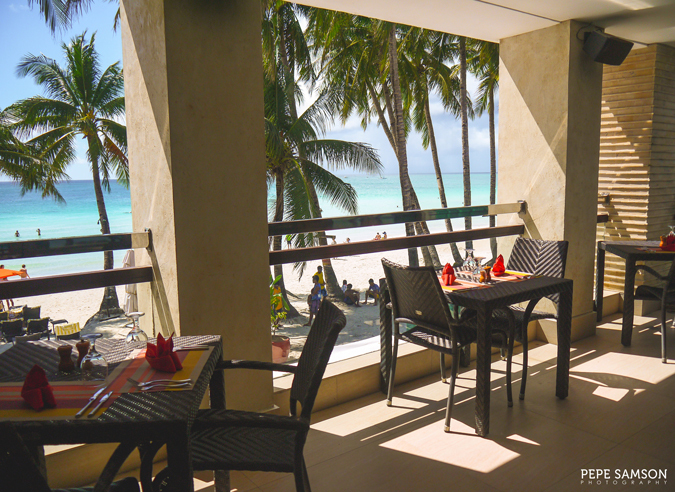 If you would prefer airconditioning instead, the table nearest the window is the perfect spot as it gives you the best of both worlds. 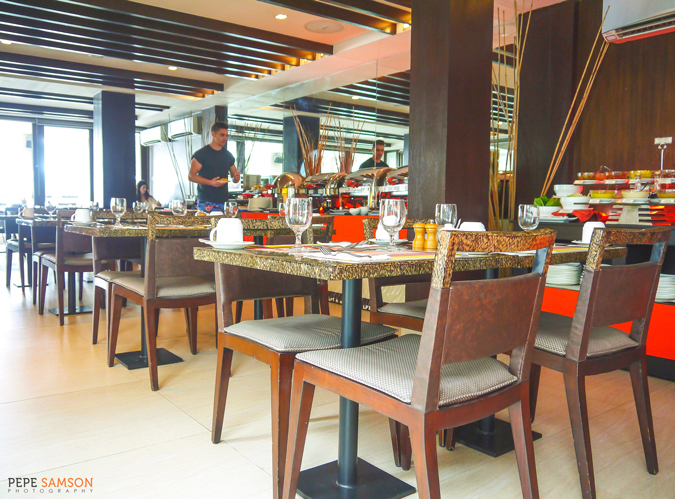 Inside, the space is dominated by warm tones of white, red, and brown, with Oriental touches like prints, patterns, and bamboo decors. I loved the fact that the servers were very attentive to our needs. My cup was never without coffee. 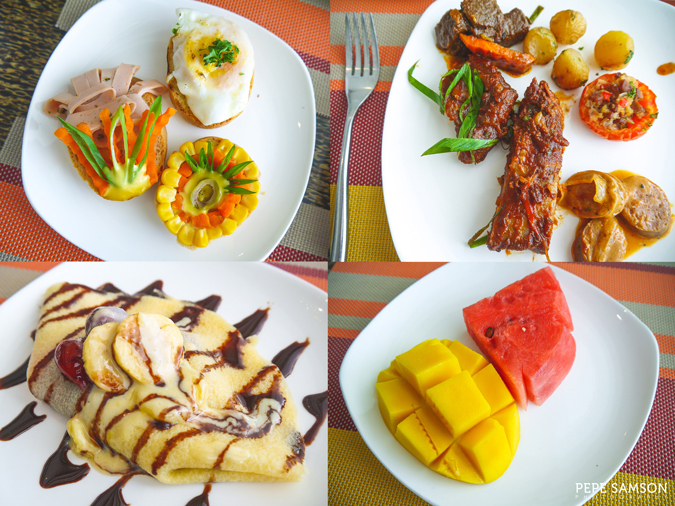 Here, you get a five-star treatment for such an affordable brunch! 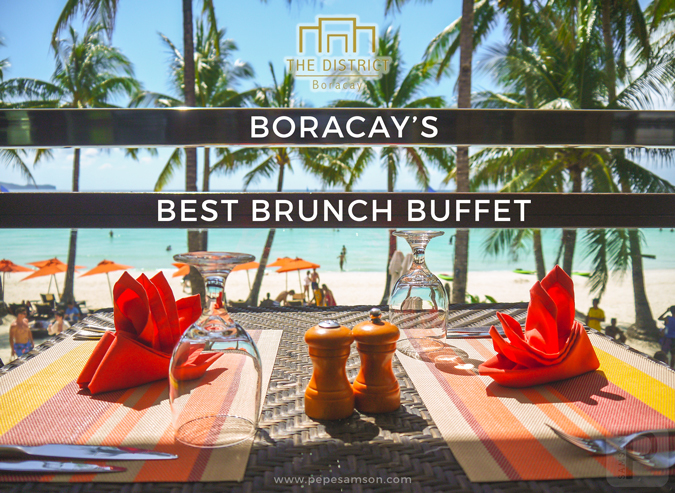 For possibly the best brunch buffet in Boracay, head over to Star Lounge at The District and partake of their delicious selections of breads, salads, international dishes, meats, pasta, fresh fruits, and desserts. 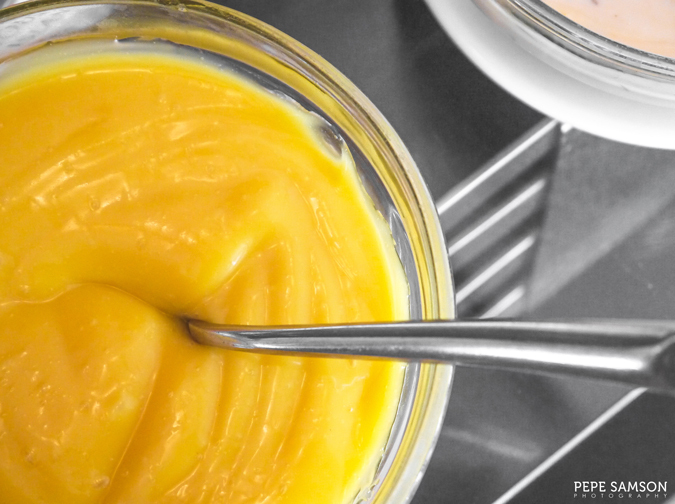 The selection is compact yet very good; nothing in the spread was a waste of space in there. 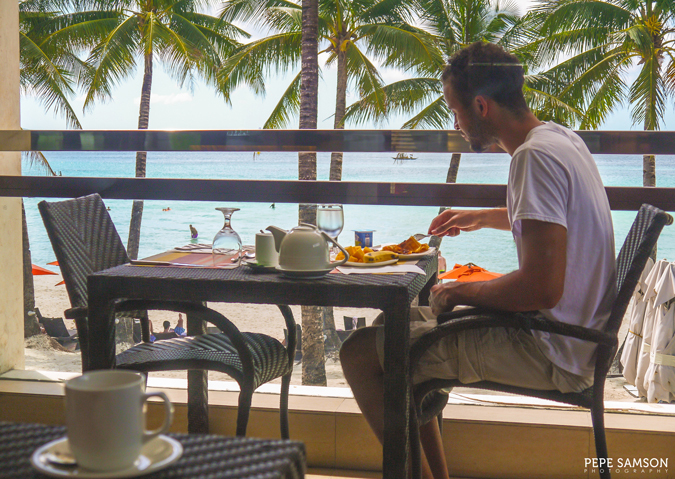 Best of all, late risers would get to enjoy their first meal for the day in such a classy yet friendly set-up. Star Lounge also serves breakfast from 6:30AM to 10:30AM, as well as grilled-to-order dinner, weekend BBQ, happy hour cocktails, and shisha. Stay tuned for a separate post on their evening offerings. 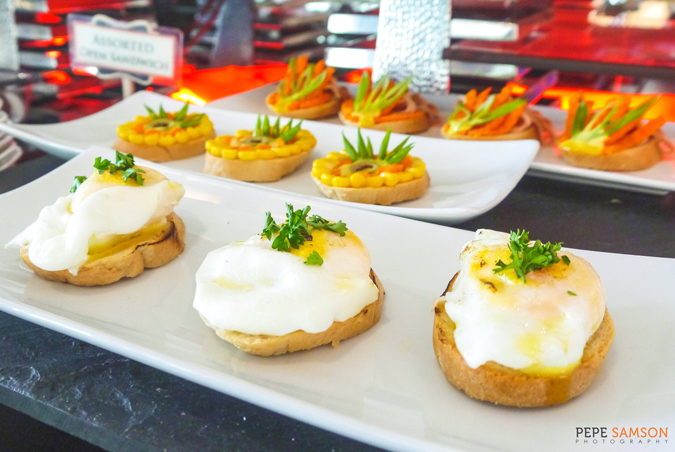 What do you think of Star Lounge's brunch offering?